A little planning and maintenance this spring will result in a healthy lawn for you to enjoy during warmer months of the year. Below are three things that are essential to Spring Lawn Care. After Winter is over, it is important to clean up your yard. You should also monitor your lawn for pests may that weaken and damage your lawn. Including a Fertilization program provides you with lawn protection from insects and weeds, and will help kick start your lawn into the Spring. You may want to have a checklist for Spring maintenance and care. Your plant beds and yard should be raked of debris and dead leaves. Doing this helps your turf receive needed air and sunshine; it may also prevent disease and insects from invading. You may have plants that need to be cut back. Your turf should be examined for sand contamination and winter debris. If snow plows have caused damage to your yard, you should repair the turf as soon as possible. Weeds may infiltrate the grooves if you leave the damage, downgrading the look of your yard. If any or all these tasks are more than you are able or willing to take on, then you should contact a landscape professional for help with your Spring lawn care. Grubs can weaken and damage your lawn. White grubs (including: Japanese beetle grubs, Asiatic garden beetles, European chafers, and Oriental beetles,) are active during April, May, and late summer into fall. Grubs are usually shaped like a letter C, and have a brown head with a cream colored body. They will have three pairs of legs. If you want to sample your yard for grubs, dig a square out of your turf that is about six inches on the side and around four to six inches deep. You should then place the piece of sod upside down, breaking up soil and roots. Pull grubs out of the soil and count them. Grubs should be easy to find as they are about a half inch long. Healthy turf can manage with 8-10 grubs per square foot without weakening. There is an old saying that goes: “Weeds are the result of a poor turf, not the cause of a poor turf.” If you have an infestation, it is showing that you have one or more issues contributing to turf health and vigor doing poorly. There are a few different techniques you can use to minimize weeds aside from fertilizer chemicals. Increasing the height of your mowing blades so that less light gets to the weeds will discourage growth. 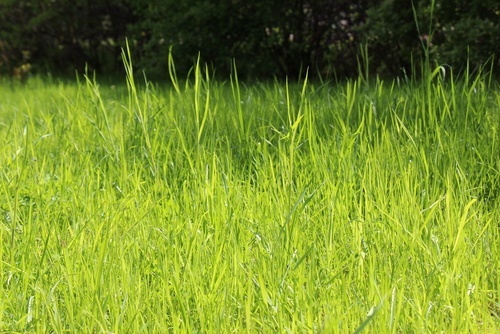 Aeration and over-seeding with desirable grasses are two other ways to eliminate weeds. Proper irrigation techniques also keep weeds under control as some grow best in hot and dry conditions. You should be careful not to over water as this encourages weed encroachment with other weed types. It is important to understand fertilizer labels if you are going to treat your lawn yourself as a part of your spring lawn care. A proper fertilizer should have a combination of potassium, nitrogen and phosphorus. To treat your turf, you should have the following information: the square footage of the turf you want to treat, the rate of recommended application, and the analysis of the fertilizer. If you do not feel qualified or confident about using fertilizer on your lawn, a qualified lawn care professional can help you create a lush and healthy turf.